If you're considering taking a trip to Norseman, you better get organising well in advance. There's just 1 hotel within 10 kilometres. 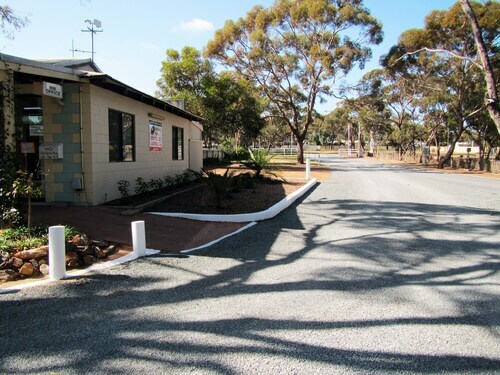 The Acclaim Gateway Caravan Park is your only choice if you have your heart set on staying near the hustle and bustle. After you've explored all the sights in Norseman, ensure you allow time to enjoy Golden Outback's other scenic and cultural delights. Golden Outback is known for rural landscapes, beaches, desert landscapes and impressive rock formations, as well as commonly visited Golden Outback attractions like the art galleries, craft workshops and open-air exhibits. Common things to do in this particular part of Australia include hiking. If you're transiting into or out of Kalgoorlie Boulder Airport and would prefer to stay nearby, check out the latest deals at the Rydges Kalgoorlie or The View on Hannans Kalgoorlie. How Much is a Hotel Room in Norseman? Hotels in Norseman start at AU$124 per night. Prices and availability subject to change. Additional terms may apply.